If you're like me, you've often wondered what retro game systems would look like if they were displaced into different timelines--NES consoles with joysticks etc--and one talented gadgeteer shows us what a Game Boy might have looked like in the era of wood paneling. 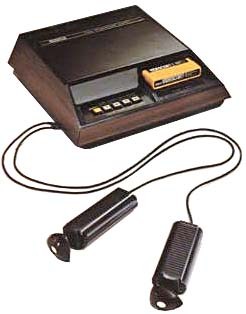 Back in the day faux wood paneling found its way on everything from station wagons to game consoles like the Fairchild Channel 4 and the legendary Atari 2600. And now that stylish veneer has skipped a few decades to enfold the a customized Game Boy style handheld emulator. Introducing the PE358, a pocket-sized portable game system created inspired by the Game Boy Advance SP console. Crafted by the renown Swedish designer Love Hultén, the PE358 is a full-fledged emulator encased in a simple clamshell-style screen-and-controller duo enfolded by sturdy walnut box. The screen even resembles an old tube TV display, adding in even more old-school nostalgia..
Like the tiny SNES handheld, the PE358 is ultra-portable at just 8x8x4cm and fits right in your pocket. And just like the Pi Boy Portable the PE358 uses the amazingly versatile Rapsberry Pi A+. Hultén has made a niche business out of selling fine hand-made nostalgic gaming goodies, and his other creations include the solid-wood R-Kaid-R (Arcader) and the PIXELKABINETT 42, a full-size two-player arcade machine emulator. No pricing is up for the PE358 but the model will likely be on sale like the rest of Hultén's goods. While most people won't be able to craft their own walnut boxes, you can make a ton of fun gadgets like a working BMO emulator if you have a MakerBot 3D printer and a $35 Rapsberry Pi.